It's ram. And it's fast. XMP 2.0 set and forget it. Works well, looks neat, and has a small enough profile to fit underneath the Noctua NH-D14/D15 cooler towers. Got it for the price and color. Its RAM. Runs great, looks great and stays cool. Not much else to say here. I have not pushed anything too hard on the OC front, but initial stress tests are good. Well they fit the format, and worked from the get go. For 5$ more I could have had 3000Mhz, watch for it. 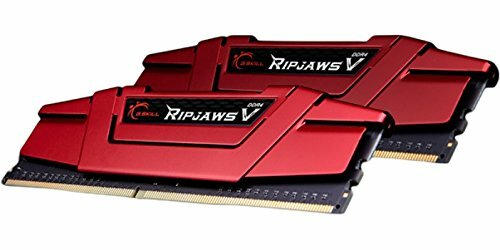 Using the Qualified Vendor List (QVL) from Asus along with the G. Skill configurator I was confident this memory would not have a compatibility issue. Having the Intel eXtreme Memory Profile (XMP) will ensure top performance from the RAM. Looks good too.